In a surprising move, the Bank of Japan has set negative interest rates. Could they be the first of many central banks to make the move? 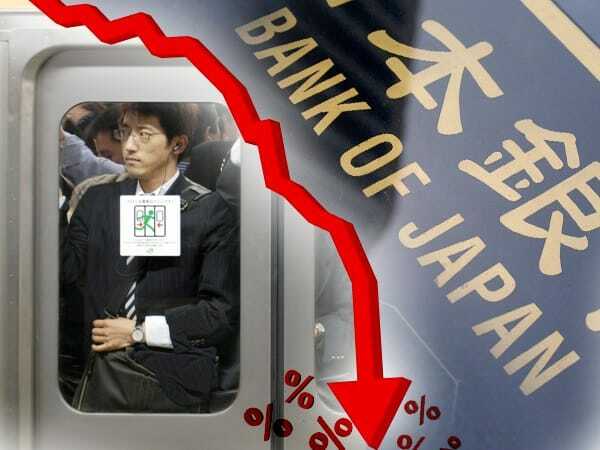 In a shocking move last Friday, the Bank of Japan (BOJ) slashed its interest rate to -0.1%. However, the surprise doesn’t end there. Bank of Japan Governor Haruhiko Kuroda said there will be “no limit” to the monetary easing, and that rates would be cut even deeper into negative territory if and when required. Just how low are they willing to go? With the Japanese central bank already pumping $674 billion a year into the market through its own form of quantitative easing — referred to by many as “Abenomics” — the BOJ’s desperation to try hold up their economy is clearly visible. If this latest move by the BOJ fails to stimulate the Japanese economy, the question we must ask has to be, What next? What if continuing to lower rates and print money proves to be a flawed exercise, as it seems it already is in the long term? Ponder that thought. What’s interesting to note is that the BOJ is not alone in dipping into negative rates; it joins four other central banks (Denmark, Switzerland, Sweden, European Central Bank) in taking their respective interest rates below zero. It seems that it won’t be long before other central banks join the negative interest rate club. Are negative interest rates coming to the United States next? This week, the U.S. reached a new milestone with the national debt hitting a record $19 trillion. And by the time the next President of the United States is sworn in, in 2017, the debt is expected to soar to $20 trillion. With the financial situation already slipping out of control for the government, any further slowdown in the economy would mean less revenue generated, equaling a larger budget deficit. This is where the Fed steps in. Janet Yellen already publicly stated last year that the negative interest rate option is on the table for the Federal Reserve should we be faced with another financial crisis like in 2008. And now, in its annual stress test for 2016, the Fed will run a scenario where interest rates are below zero to see how the big banks would perform. A trial run for things to come, one would think. With the global economy flashing red signs that spell “meltdown” — for example, the Baltic dry index is under 300 points for the first time ever and the Challenger report shows that layoffs were up a massive 218% in January 2016 — we could see even more desperate attempts by central banks to do whatever they can to “stimulate” their economies. If the Fed continues these policies, they will continue to destroy the long-term value of the dollar. And this is precisely why it’s critical to diversify out of fiat currencies and into real physical assets, like gold. The good news is that this latest move by the BOJ acts as a warning. It may have bought you some time before the Fed is forced to show its card and drops rates once more. When you are ready to shield your savings and give yourself some peace of mind, we will be here to help. Is China in a severe currency crisis? Read more here.